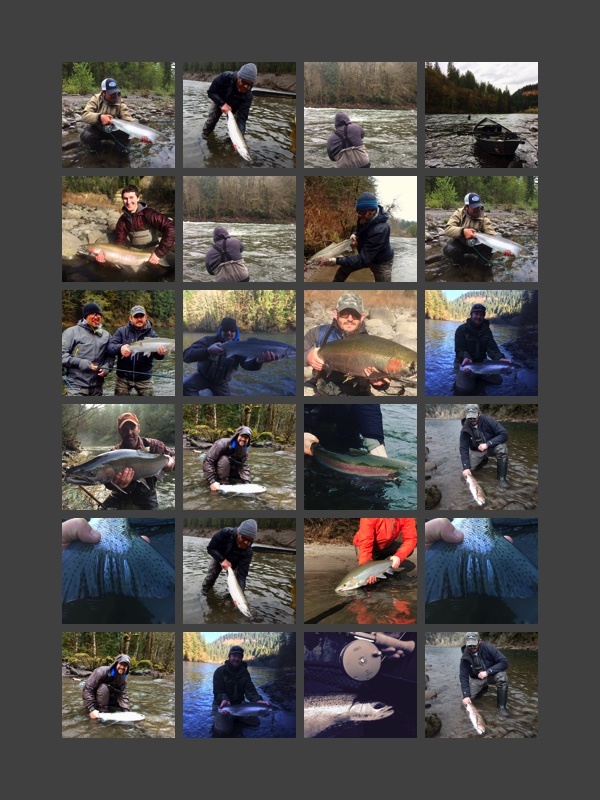 The Sandy River is the premier winter steelhead fishery in northern Oregon. 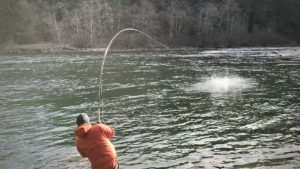 If you like to swing flies for winter steelhead you will not find a better place to do so in the Pacific Northwest. 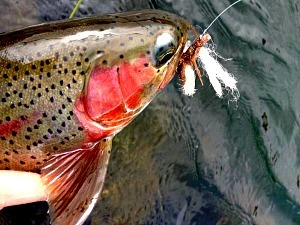 Steelhead Outfitters provides guided fly-fishing trips on the Sandy River near Portland, Oregon. 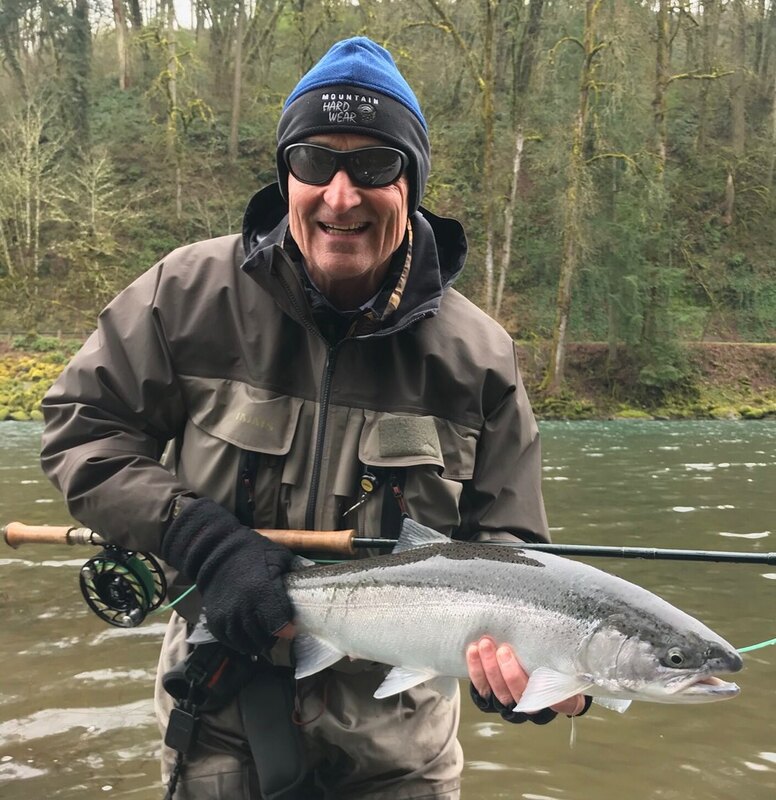 Guided trips on the Sandy are for winter and spring steelhead. 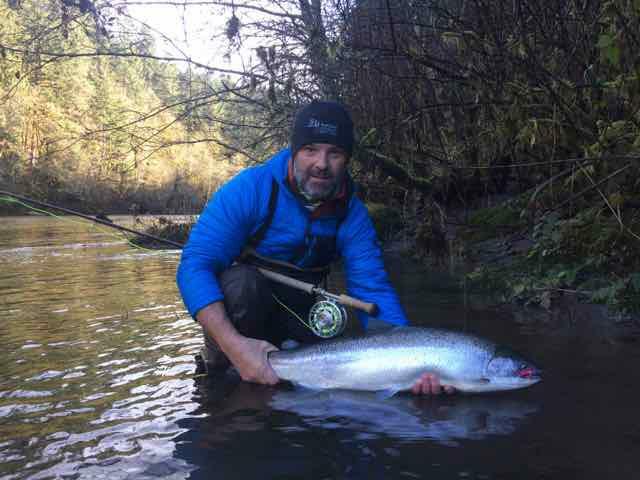 We utilize spey rods and a fully framed Maravia whitewater raft to find these fantastic fish! The Sandy River starts its journey to the Pacific in the Mt. Hood National Forest and runs 56 miles before it empties into the Columbia River east of Portland near the Columbia River Gorge. Marmot Dam impeded wild fish passage from 1912 until 2006 when the dam was removed. Today the waters of the Sandy River travel freely from the mountain to the sea. 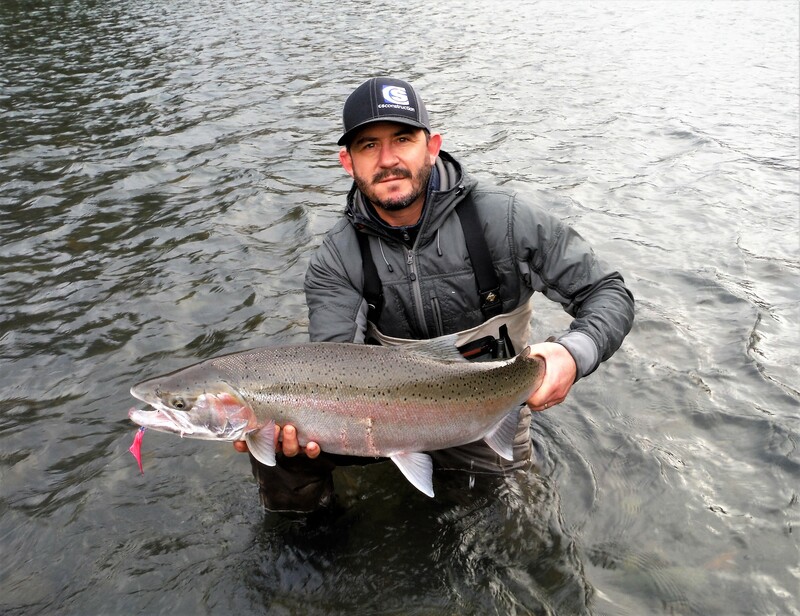 Steelhead Outfitters provides guided fly-fishing trips on the lower 20 miles of the Sandy. We float from Dodge Park to Oxbow or Dabney Park. The float from Dodge Park to Oxbow has several classed rapids as well as breathtaking scenery. You will not find a more scenic and beautiful river this close to 2.2 million people. 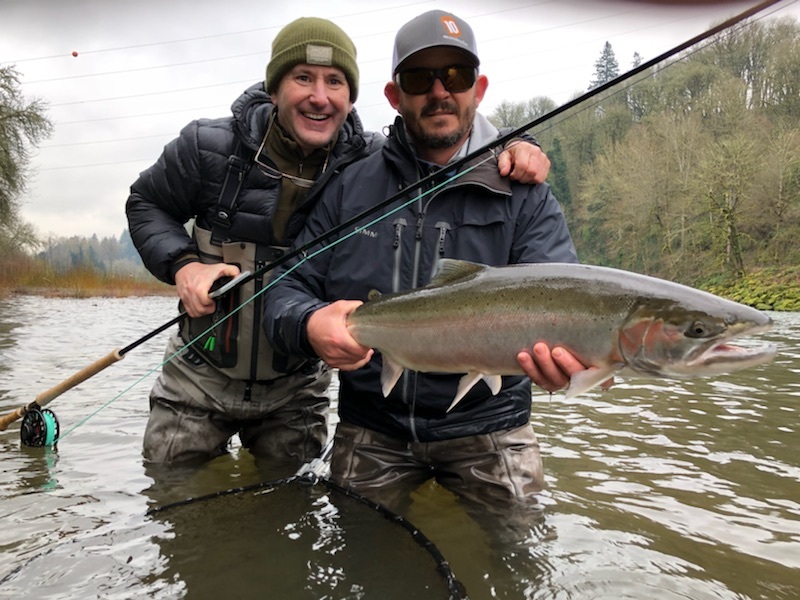 Winter steelhead enter the Sandy River in late November with good numbers from December through April. 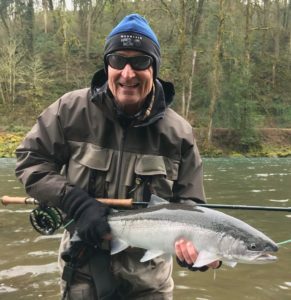 The Sandy River is fishable most days during the winter but a flexible schedule is needed for booking trips in advance. It is hard to believe a river this close to a major metropolitan area can be as good a place to swing a fly for winter steelhead! The Clackamas River or the “Clack” originates in the MT. Hood National Forest and descends nearly 5,000 feet before reaching the Willamette River just south of Portland. The river’s journey is just over 80 miles, but for our purpose, the Clack has 24 miles of swing water starting at River Mill Dam. Being as good as it is and right next to Portland, the competition can be fierce. 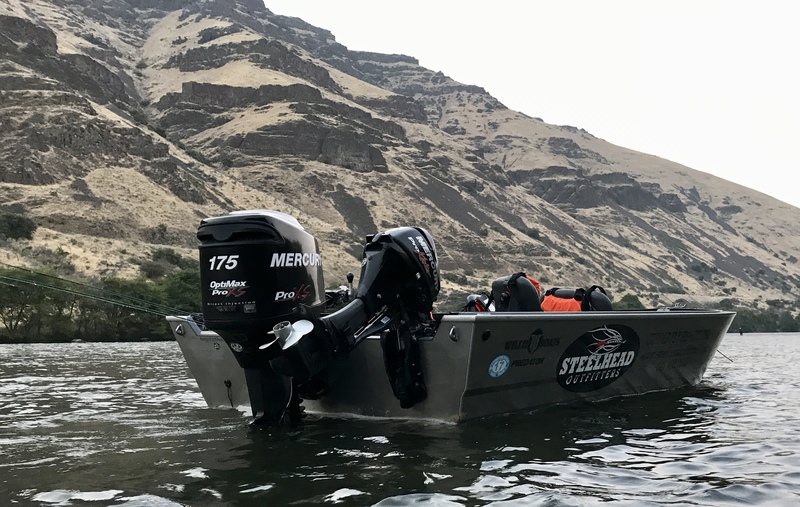 This is where Steelhead Outfitters rises to the top of the field; enter the jet boat. The use of a jet boat allows us to be first, last and best on the river when it comes to covering water and finding fish. These fish are a mix of hatchery and wild fish averaging 6-12 pounds with large fish into the teens. The run continues full force right into late March and early April. 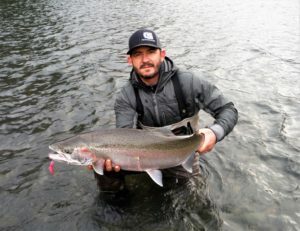 Summer Steelhead are right on the heels of the Winters and prolong our Clack season into the summer. Summer steelhead are hatchery fish. This is the zipper lip zone on Notellum River. This part of the planet gets heavy rains and rivers are often too high or dirty to fish. 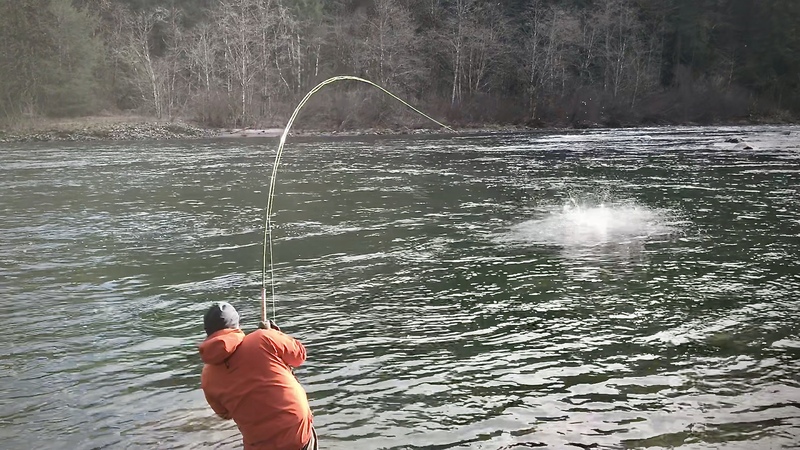 When the rivers are in shape there’s no easier place to swing a winter steelhead. Fishing the North Coast includes hotel stays and pretty good travel time. Three consecutive day minimum two angler max. Contact me to talk about logistics, hotel recommendations and rates.